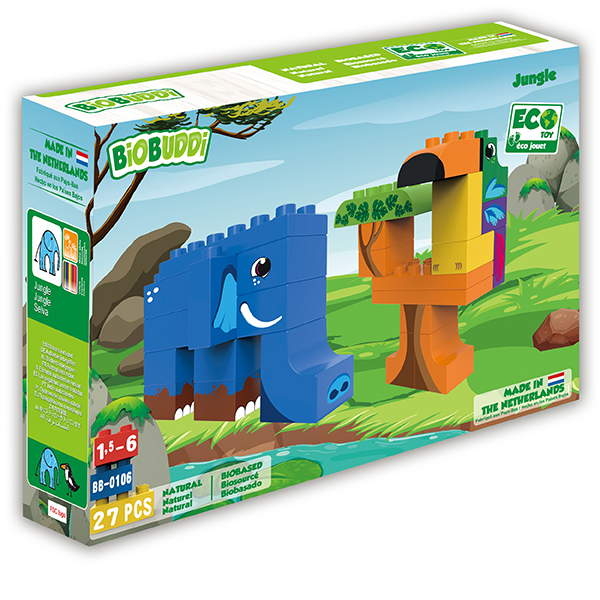 2 in 1 – Build the Elephant or Toucan. Elephants are some of the largest mammals walking on our planet. The average height of an elephant is 3 meters. Elephants have large ears, they flap these to cool down. Besides large ears they also have a large nose, called a trunk. The trunk functions as an arm. 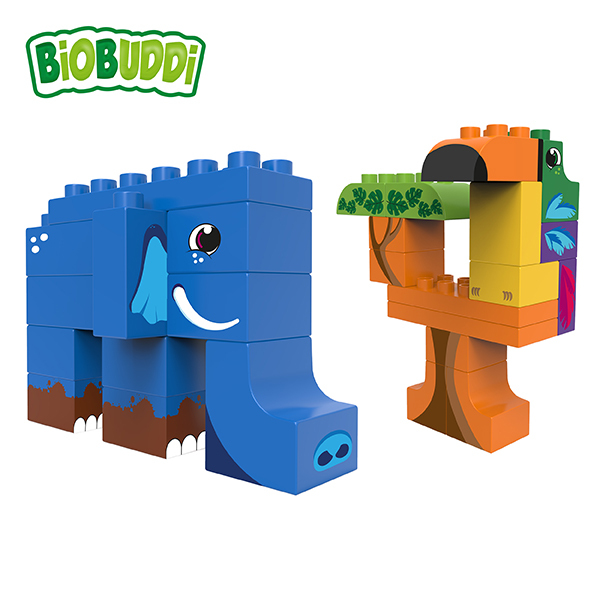 With the trunk, the elephant can reach items at the height of 7 meters. The Toucan is another animal famous for its large nose, or actually its beak. Some types of toucan can grow a beak of the same size as their own body. The large size of the colorful beak helps the toucan to release heat, similar to the elephant which cools itself down with its ears. Toucans live in tree holes where they make their nest. These birds have feet with inverted toes so they can hold onto trees.